The director spoke with IndieWire at SXSW, where his new show's cast screened their micro-budget features. 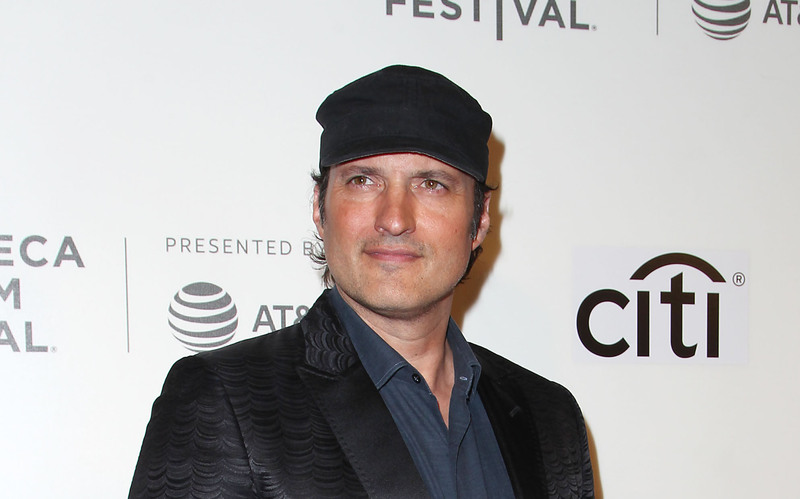 Before Robert Rodriguez created the El Rey Network in 2013, he came up with the contest: He would task burgeoning filmmakers with executing their first features in two weeks for just $7,000, the same limitations that produced his storied debut. (Said Rodriguez: “I thought no one was going to see it; that’s why I spent so little.”) “El Mariachi” secured Columbia Pictures distribution and the Guinness World Record for lowest-budget flick to earn more than $1 million (the same amount the studio reportedly spent on its marketing). For the film’s quarter-century anniversary, Rodriguez made the competition a reality: Borrowing its name from Rodriguez’s 1995 memoir, “Rebel Without a Crew” began streaming March 19 on go90. He handpicked five directors (who include three women) from a capped pool of more than 2,000 applicants. Each contestant had directed only shorts and possessed a completed feature script (or said they did). Rodriguez flew them and their on-set plus-ones into Austin, where they shared a house. While there was no budget increase for inflation ($7,000 in 1992 is about $12,600 today), the cast members could select wardrobe options and seven props apiece from Rodriguez’s Troublemaker Studios, mentorship from producer Cecilia Conti and production designer Steve Joyner, and camera package consultations. There were also some reality TV-mandated obstacles, such as allowing the directors only two hours to cast their films, three days of prep, and pressuring them to choose locations sight-unseen, guided only by vaguely worded descriptions. To heighten the stakes, they were also informed that their slapdash projects would screen at SXSW. Ranging in age from 28 to 35, two “Rebel Without a Crew” directors came from Hollywood; others came from cities like Albuquerque and Crystal, Minn. Bola Ogun, a Dallas-based Nigerian-American, worked on sets of “The Dark Knight Rises,” “True Detective,” and “Friday Night Lights,” and is a veteran of Ryan Murphy’s Television HALF Mentorship Program. Her real-life friend, Bonnie Kathleen Ryan, shadowed “True Blood” and “Jessica Jones” directors. Josh Stifter held down a full-time job at a Christian media company while also providing animation for Kevin Smith’s “SModcast” podcast. Their features were extremely ambitious. Scarlet Moreno’s “Phaedra” is about a disco-loving doll collector who becomes entangled with a cocaine dealer. “Monday,” by Alejandro Montoya, follows a newly fired (and dumped) stoner hired to assassinate his ex’s new love interest. There were also films about a widowed, onetime CIA agent being chased by intergalactic bounty hunters (Ogun’s “On The Run”), a grad student unnerved by her elderly landlady (Ryan’s “Grandma’s House”), and a priest ridding demons from a tumbleweed-strewn B&B (Stifter’s “The Good Exorcist”). Rodriguez’s next film is the reported $200 million 20th Century Fox production “Alita: Battle Angel,” written and produced with James Cameron (its release date was recently postponed from July to December 2018). However, Rodriguez found himself so inspired by his protégés that he revisited the $7,000 challenge himself: He unearthed a half-finished “El Mariachi”-era script and completed it with his 20-year-old son, Racer (who, at age seven, received his first film credit for story on “The Adventures of Sharkboy and Lavagirl”). The making of “Red Eleven” — “the shirt color and number I was in the medical research hospital where I sold my body to science to pay for ‘El Mariachi,'” Rodriguez said — will be the subject of its own still-untitled docuseries, set for a June release. “Rebel Without a Crew” will air on go90 and Tumblr. All six episodes will be rebroadcast on El Rey Network. Watch the first installment here.